In response to international shipping regulations of non-manufactured wood-packing materials, Pest-Heat has developed a new technology of heat treatment systems. With the International Plant Protection Convention (IPPC) regulations, Pest-Heat offers an easy, cost-effective solution. 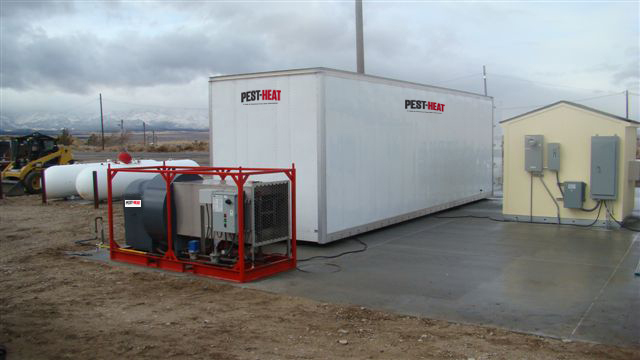 Pest Heat's self contained, portable chamber system offers an easy, cost effective solution for international regulations. The system ensures complete heat treatment certification for wood pallets, wood products, dunnage and crating. Pest-Heat chambers are compliant with E.U.56/30 and IPPC requirements as an export device for the pine wood nematode and other pests. The chamber destroys insects and pests in pallets, wood products, packing materials and equipment. 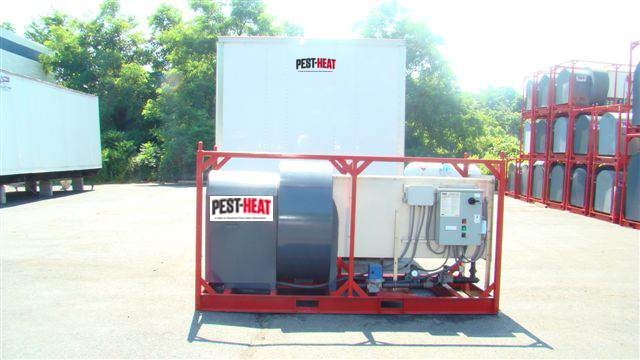 Pest-Heat pioneered the treatment and management of pests through the use of their patent-pending heat treatment process and equipment. The Pest-Heat Chamber System was developed in partnership through many years of testing and data collection. Working in partnership with the Defense Logistics Agency (DLA) and the United States Army Center for Health Promotion and Preventive Medicine (CHPPM), the Pest-Heat chamber is by far the most effective and economical heat treatment system for the control of pests. 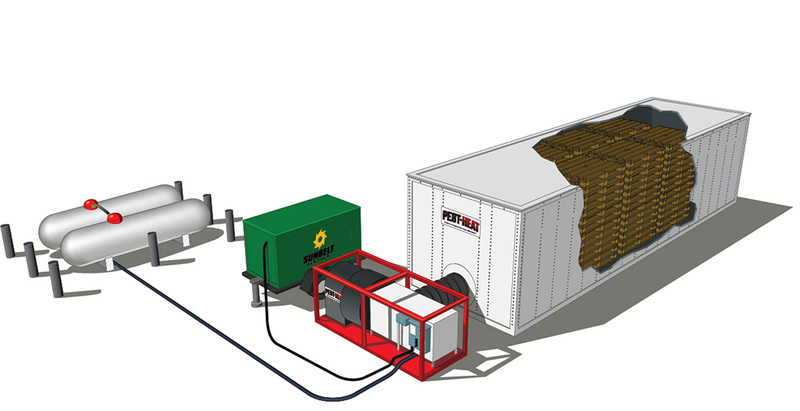 The Pest-Heat Chamber System is the most economical heat treatment method on the market today! The system is completely self-contained and has minimal installation requirements. The high-capacity chamber can effectively treat a variety of wood products in one operation. Pest-Heat offers a better solution than costly, short-term alternatives and pays for itself in less than six months of continuous operation. 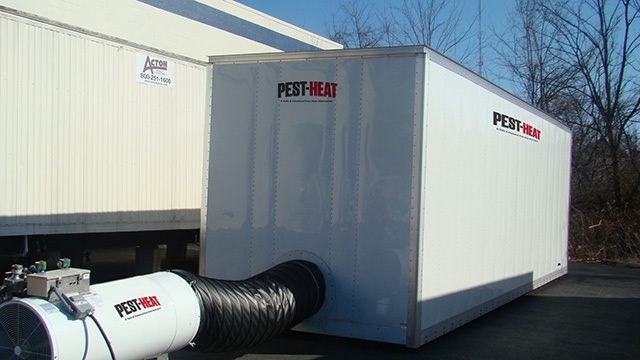 Pest-Heat's patented chamber system utilizes heat within a confined area to create an environment proven to be effective in the eradication of infested pests. Between 400,000 to 2,000,000 Btu/h. of heat is pumped through the specially designed, perforated flooring at over 10,750 CFM. The heat rises through the floor and fills the chamber upward, creating the necessary temperature to kill pests living within the products. The chamber is sealed and the heat treatment process is initiated. Non-manufactured wood packing material is heated until the product reaches a core temperature of 133°F for 30 minutes or desired temperature. Temperatures within the chamber are monitored and recorded using software and data recorders. After treatment, materials are unloaded, stamped and ready for use. Pest-Heat kills insects and other pests living within wood pallets, packing materials, wood products and other commodities. 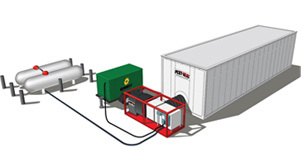 Pest-Heat designed the Chamber System for high-capacity and fast treatment times. 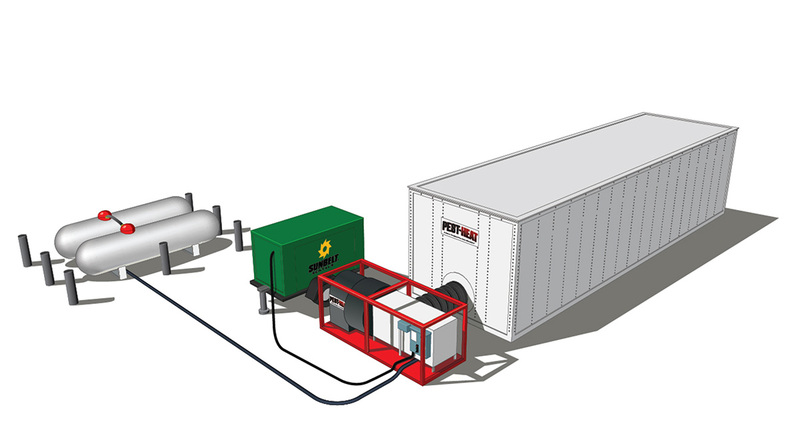 The portable chamber requires an electrical connection, a gas hook-up (of propane or natural gas) and a level foundation to become fully operational. No other system available today offers the same effectiveness and low cost operation. Due to the rapid increase of bedbugs we have been looking for an efficient way to eradicate them... We purchased both the propane and electric packages with on-site training. The Pest-Heat packages allowed us to offer our customers a green and clean solution to eliminate their pest concerns. Set-up time is quick, the treatment is thorough, and the packages were custom designed to meet our specific needs. When a camp has bed bugs, rumor travels fast and we didn't want to lose any kids for the upcoming summer. We had to find a quick solution that was safe and cost-effective. After researching online for what our best solution would be, we found Pest-Heat. Our camp bought the propane package, which will allow us to do ongoing treatments. The entire heat treatment process worked out smoothly and we would recommend Pest-Heat to any other camp experiencing bed bug issues. 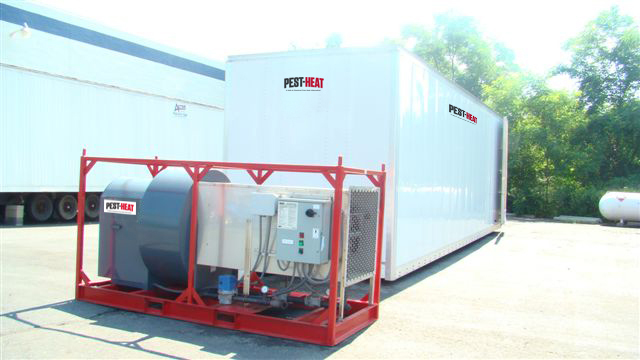 When looking for a sturdy container for our pallet heat treatments, we went with Pest-Heat due to the outstanding heating capability of the PH-2000 heater running off of propane (or natural gas). Pest-Heat's container is lined with 24 gauge-galvanized steel attached to the interior liner. Pest-Heat has dependable customer service and equipment. It worked great for our needs and we have been using it for over 8 years! As soon as we realized we had bed bugs in our buildings, we contacted our local pest control company who we had been using for years. We noticed the effectiveness of the chemicals used, no longer worked, due to the bed bugs developing a resistance. We did some research on alternative ways to kill bed bugs and found Pest-Heat. We purchased two propane packages from Pest-Heat so we could keep our costs down and do our own heat treatments. We have had the Pest-Heat system for a month and we have already successfully heat-treated three different units. ©2013 Pest-Heat, a Sunbelt Rentals, Inc., company. All rights reserved.